OMN may have taken Bumbershoot off last year, but we're heading back up north this time to catch the 43rd edition of not just Seattle's but "the nation's largest arts festival, attracting over 100,000 people to Seattle Center every Labor Day weekend," as the fest officially says. Featuring comedy, dance, film, theater and more alongside rock stars and notable talent from our own backyard, this year's music and arts festival takes place from Saturday afternoon on August 31st until almost midnight on Labor Day, Monday, September 2nd, all in the shadow of The Emerald City's iconic landmark—the Space Needle. With a family-friendly atmosphere, the Bumbershoot lineup usually skews a little older (especially in the world of multi-day music festivals), but nevertheless overlaps enough to rival Portland's MFNW, which follows immediately on its heels this year (kicking off on September 3rd after, yet again, adding an additional day), and always draws a diverse crowd. Something notable about this year's fest is the scheduling of some pretty big names in midday time slots—catch mainstage performers like Kendrick Lamar at 4pm on Saturday, fun. a half hour earlier on Sunday, and MGMT also at 3:30pm on Monday. Now, your head might spin if you look at the hundreds of activities all at once. So to avoid sensory overload, we've done you a favor and sifted through the musical offerings (and then some) each day to tell you what's piqued our interest—we hope it'll galvanize yours as well. Get the rest of our Bumbershoot picks on OMN. Making just their third swing through Portland (last seen opening for CSS in June) and this time headlining an already sold-out gig (thanks to a bit of a push from 94.7 FM), NYC's MS MR will again take the Crystal Ballroom stage, with indie folk from Portland's Great Wilderness kicking off the night. Self-christened as "Tumblr glitch pop, soul fuzz, [and] electroshock," Lizzy Plapinger and Max Hershenow's brand of dark, glammy electro-pop is undeniably dancey and perfect for fans of Poliça (who'll also grace a PDX stage—the Wonder—before the end of the year). 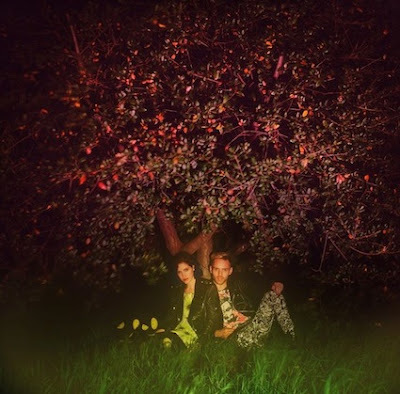 After the stellar EP Candy Bar Creep Show, MS MR is currently supporting their debut effort, Secondhand Rapture, which, much like they did with the EP, can be enjoyed visually as well as aurally—there's eye candy aplenty to accompany the album's 12 tracks. Now, let's hope these bizarre idiosyncrasies translate well to the live arena. Check out the rest of OMN's Get Out! picks for August 8-14.